The wedding food menu is the most important part of any wedding. It’s something your guest will look forward to as it becomes the talk of the town after a point of time. So it has to be interesting and special. But the cost of the food and menu goes beyond the expectations and spending so much on the wedding food menu is sometimes makes a huge difference in your budget. So why not make and plan wedding food and menu for self-catering. Here you will have to spend lesser and make it more interesting and personalized as well. 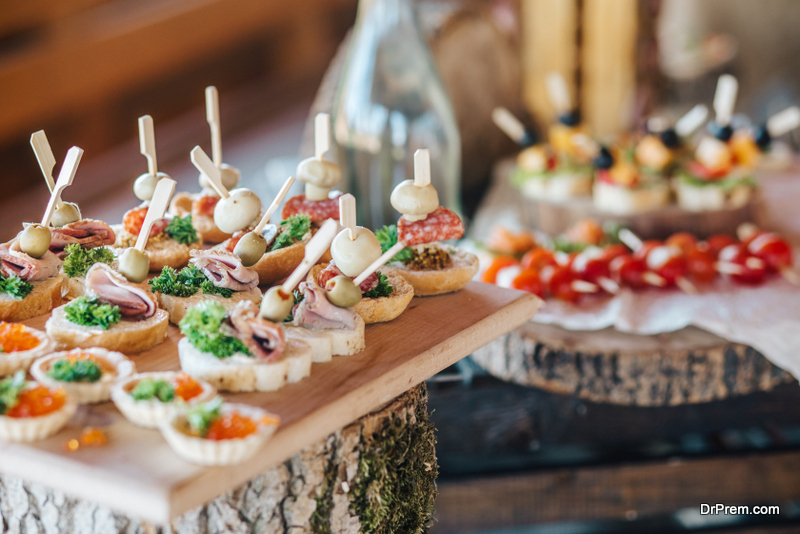 Let’s find out some of the Wedding food ideas and tips for self-catering which you can try for the upcoming weddings. 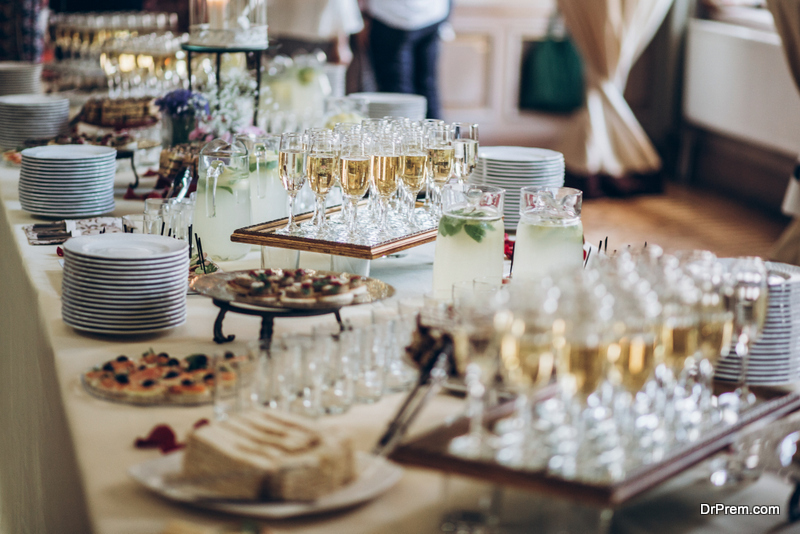 If you are planning for the self-catering menu for a wedding reception, there are some pointers to keep in mind before going for it. The first idea is to get yourself prepare for it. Plan ahead in advance how you like to map for your wedding meal and menus, food ideas for a wedding reception,what recipes you want to make in advance and what all things need to be made on the same day. If you sort this entire plan then it will be easy for you to achieve the targets. First of all, make a list of the things you wanted, and then prepare a shopping list. Try to write down the preparation time and schedule of the wedding menu. To make your work easier, you can decide on the spot as where your dishes will go to the food table at the wedding. Make a tag for all the dishes so that the guest will understand the menu. This way you can organize the food menu in advance so that you don’t have to run just a day before the wedding to make arrangements for the food. Remember, it’s your big day and everything has to be perfect. To make your work easier, first of all, buy the stuff in bulk from a supermarket or the warehouse club where you can get all the items at one place and that too in lesser price. Buy all the grocery and ingredient which you can buy in advance and leave the fresh stuff for later on. Just make sure to cross check the clean ingredient so that you get everything perfect. Double check your list before cooking your food so that you don’t have to buy the stuff on last minute and have a last minute run to a supermarket. Popcorn pockets: – The perfect snack ideas for the wedding reception. Make small pockets of popcorn and your guest will be amazed to see this. This is the cutest snacks idea. Churro Bites: – Churros are the favorites of so many people so why not convert it into nice snack bites. Cinnamon sugar churros make for a sweet treat. French fries:-DIY this snack by making paper cones filled with yummy French fries. It makes a nice snacks idea and of course the love of everyone. Fruits bite: -Some seasonal fresh fruits for the guest will be appreciated. Make small pieces and serve them as lollypop bite in an ice-cream stick. 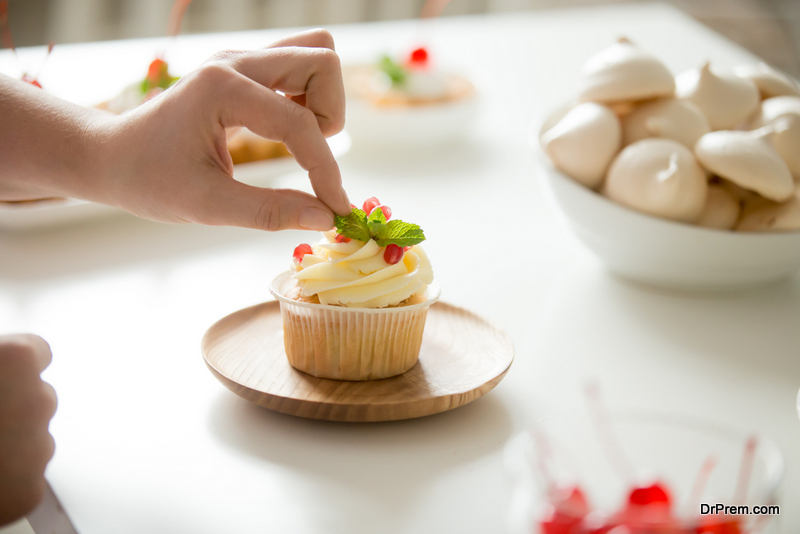 Mini fruit cupcakes: – You can bake your own big fruit cake and then put them into small cubes to make it like mini cupcakes or small bites. This way you can make your personalized Self-catering wedding food ideas to serve them to the guest. It will add a unique touch to your wedding and wedding food.